Football isn’t the only thing that kicks off in September; so does our fall gardening season. Now is the time to think differently about your garden and landscape’s health. It’s time to plant annual flowers and vegetable plants. Also, if you’re looking to transplant any trees and shrubs, now is a good time. Here are some additional tips for fall gardening: check your soil’s pH, or acidity level, before you plant. We’ll do that for you for free at Doty Farm & Garden Supply in Winter Haven, just make sure your samples come in dry. It’s also time to fertilize your lawn. The heavy rains of August have washed out any nutrients in the soil. This month is an opportunity to ensure your grass receives quality nutrients. Be sure to check for chinch bugs, sod web worms, mole crickets, and fungus. If you have any weak patches of grass, there’s still time to seed, plug, or sod them. fertilizer. But those poinsettias should be pruned for the last time before Christmas by mid-September. 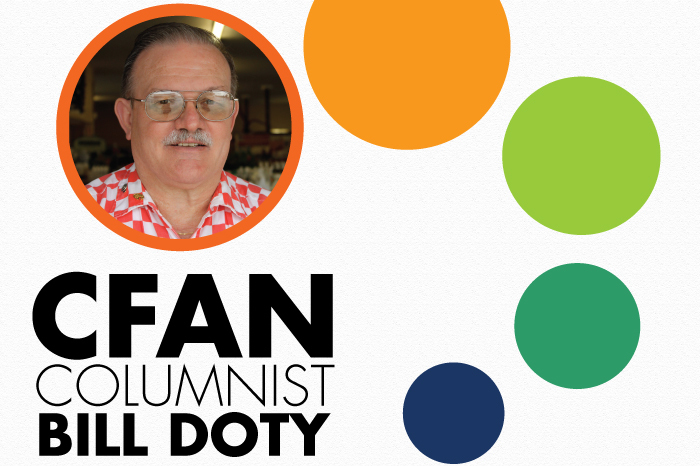 This column is sponsored by Doty Farm and Garden Supply, and the opinions expressed herein may not reflect those of CFAN or of its advertisers.